Retention of highly skilled scientists from diverse and underrepresented groups is critical for creating the diverse leaders of tomorrow needed for innovation in neuroscience. To broaden ideas and perspectives in neuroscience and to continue pushing scientific boundaries, the field needs a diverse array of neuroscientists, particularly those from underrepresented backgrounds. Nowhere is this push more critical than at the post-doctoral and early career stages, when we have already invested so much in these young scientists. Science cannot afford to lose this great talent due to poor professional development support and limited access to networking opportunities. Support at this critical career stage will result in an increase of the representation of underrepresented minorities in neurosciences at the faculty level. To encourage greater diversity within neuroscience-related fields, we created BRAINS: Broadening the Representation of Academic Investigators in NeuroScience in 2011. 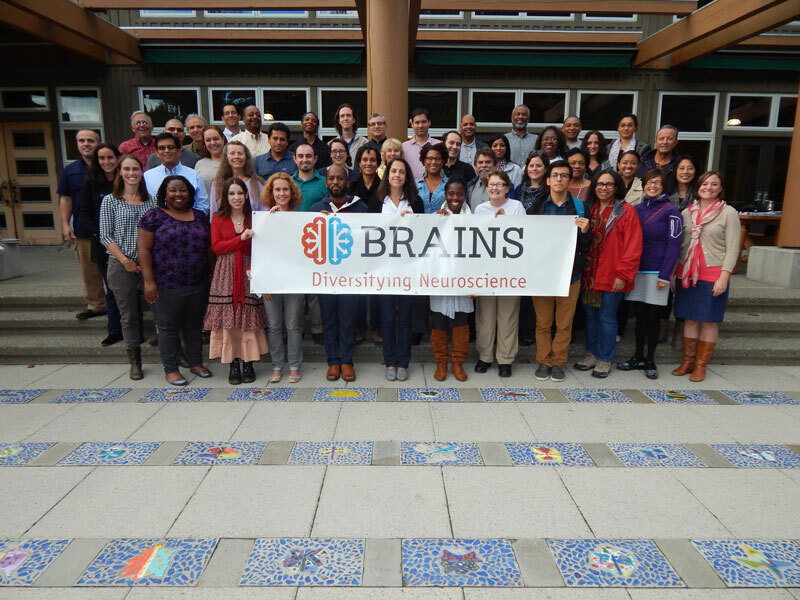 BRAINS is a national program to accelerate and improve the career advancement of neuroscience postdoctoral researchers and assistant professors from underrepresented groups targeted by the NIH's National Institute for Neurological Disorders and Stroke (NINDS) R25 funding mechanism. The program creates unique, life-transforming experiences for participants. The program goal is to increase engagement and retention of academic early-career neuroscientists from underrepresented groups by reducing isolation, providing tips, tools, and skills development to prepare for tenure track success, and increasing career self-efficacy. 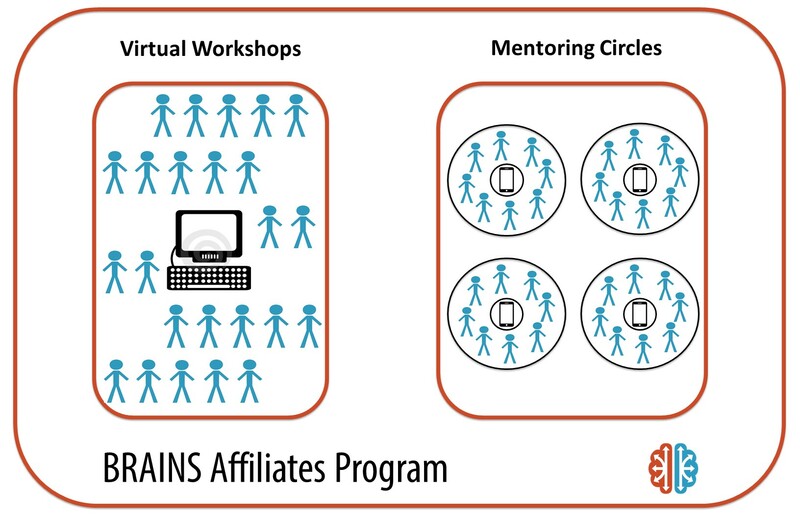 To achieve this goal, the program offers two participant pathways: BRAINS Fellows and BRAINS Affiliates. 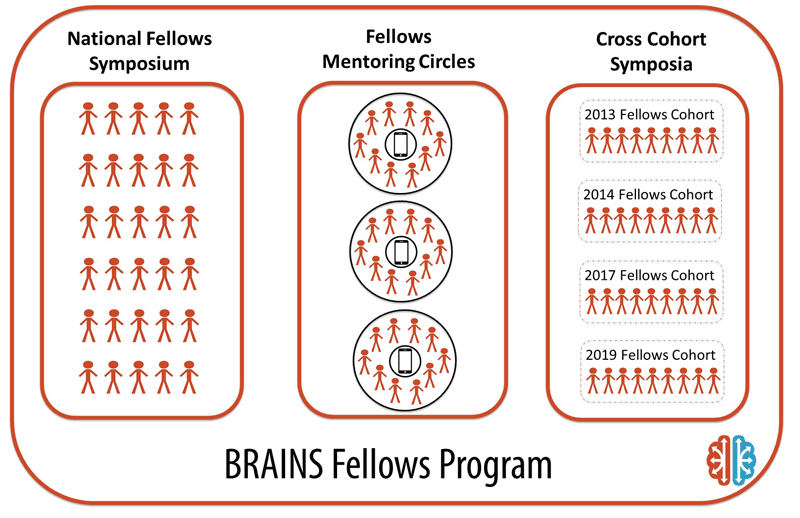 BRAINS Fellows Program – Includes participation in the National BRAINS Symposia, peer Mentoring Circles, and Cross-Cohort Symposia. For more information about BRAINS, please e-mail us at brains@uw.edu.